Indien dit gaan gebeur, gaan elektrisiteit nog meer gemanipuleer word as wat tans die geval is. Is net ‘n kwessie van tyd – en dit kom voor of dit voor die verkiesing of dalk net na die verkiesing sal plaasvind, as daar reeds “gestem” is. Dit maak net nie sin om Eskom op te breek in 3 entiteite nie, want wie word bevoordeel, daar is geen waarborge nie. Hoe gaan 3 entiteite struktuurprobleme oplos as dit tans nie eers gedoen kan word nie, myns insiens bestaan daar nie so iets as gekyk word hoeveel elektrisiteit is buite ons land verkoop aan Botswana, Zimbabwe en heelwat Afrika lande.Jeff Radebe and Cyril Ramaphosa are married to Patrice Motsepe’s sisters (Who have shares in mines too. 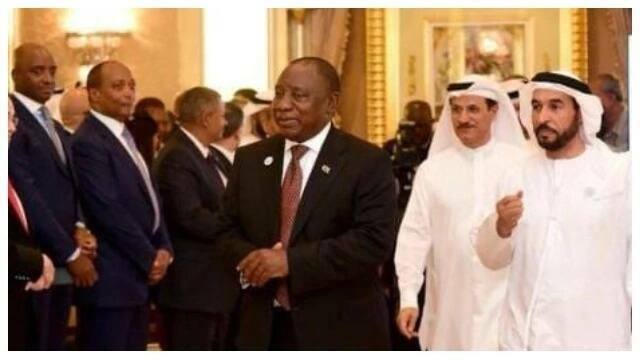 President Cyril Ramaphosa’s recent trip to Saudi Arabia and the United Arab Emirates is being hailed as a success after he secured a massive R130 billion investment into the energy sector of South Africa. Ramaphosa het nog altyd langs Oppenheimer geloop selfs voor 1990. Dalk moet Lekota sy antwoorde hier gaan soek en nie op die eiland nie. Die Oppenheimers besit steeds groot “wildsplase” langs Namibië en Richtersveld – oor die 100000 ha groot. Nog ‘n groot naam is Christo Wiese, wat ook ‘n baie groot plaas besit in Noord-Kaap – Oryx. Alongside Motsepe, Brian Dames was spotted, he is the former Eskom CEO and now the CEO of African Rainbow Energy & Power, a company belonging to Motsepe. Ramaphosa-Radebe Besides Motsepe, Jeff Radebe was also spotted on the trip and is the minister of energy. Incidentally, he also happens to be both Ramaphosa and Motsepe’s brother-in-law. Ramaphosa appointed Radebe to the energy portfolio in February as one of the first major moves he made as president of the country. During Zuma’s presidency there were reports of the government making plans to sign a R1-trillion nuclear energy deal with Russia. Since Ramaphosa came to power the government has distanced itself from the proposed deal and placed it on hold. Several Soweto schools facing infrastructure problems have received some relief. The Motsepe Foundation has donated over R8 million to schools and some churches. About 37 schools and churches in Soweto are set to benefit from the cash injection of more than R8 million from the Motsepe Foundation. Each received R150 000 towards improving their technology and infrastructure. A number of schools and several churches received monetary donations to the value of R8.5 million from the Motsepe Foundation on Tuesday. The donations were announced at the Regina Mundi Church in Soweto. H.F. Tlou Secondary School and Bosabosele Primary Schools have received R150 000 each from the Motsepe Foundation. The prizes were given to the two schools on Thursday at the Shekinah Tabernacle Church in Tlhabane township near Rustenburg. North West Education and Sport Spokesperson, Freddy Sepeng, said that the cash prizes would be used to better the schools as they intend building a library and a toilet block for ladies. 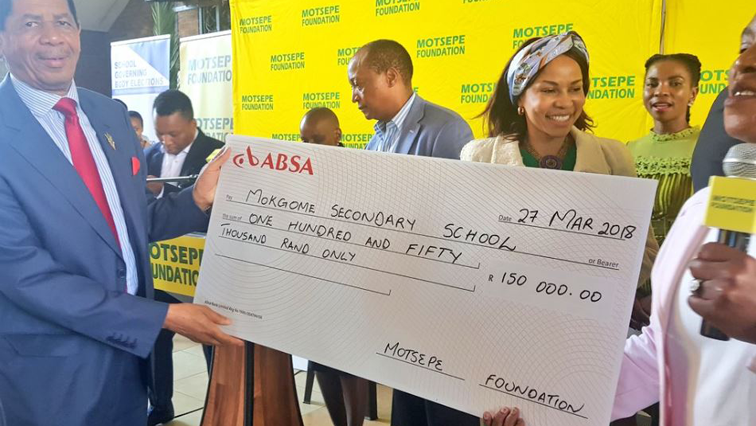 Precious Motsepe, CEO of the Motsepe Foundation, said the two schools received the prizes because they are North West’s top performing schools and the foundation thought it best to reward them for their efforts.